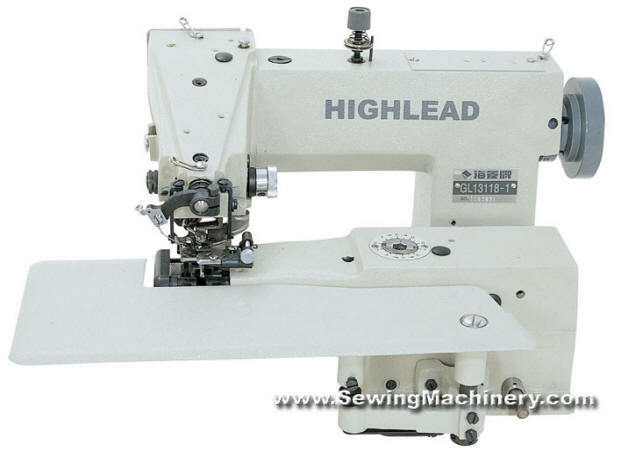 The Highlead GL13118-1 is a general purpose blind-stitch sewing machine for use on a wide range of materials. 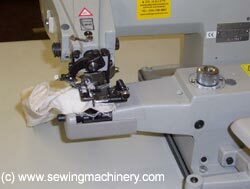 The machine produces a single thread chainstitch, which on the outside of the fabric appears to be hidden. 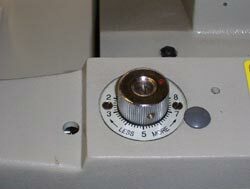 The blind-stitch depth is easily adjusted, via the control dial, to suit many types of fabrics. A universal sewing equipment set if fitted to allow blind-stitching of various materials independent of weight (i.e. light, medium & heavy weight). The sewing machine is used throughout the clothing industry: making men's & woman's clothing, +house hold textiles including curtains. It is versatile and of particular use were many different fabrics are used (i.e. alteration work). 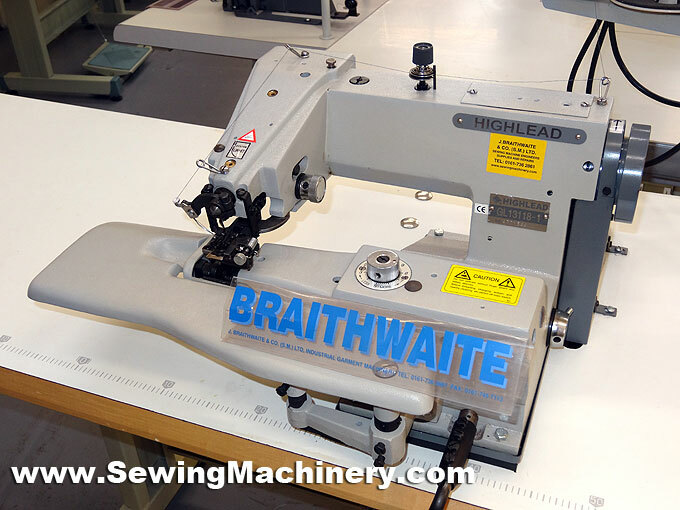 The GL13118-1 is a smooth running machine making blind-stitching effortless and as well as sewing flat work, you can swing away the front plate to reveal a cylinder arm for hemming small garments, sleeves and the bottom of trouser legs etc..
Flat or cylinder arm work. Linzbek servo needle position motor with speed and acceleration control (LB610C/LB650C series).